The nuclear deal between the 5+1 imperialist powers and the Iranian regime, signed in July 2015, was approved by the United States Congress in September and President Obama has now begun the process of lifting sanctions. During the past week we have also seen the Iranian regime’s ‘parliament’ and the Guardian Council – which sits above it – endorse this agreement. Since the ‘cold war’ between imperialism and the regime is ending – with trade delegations from many European countries heading to Iran since July – the authorities in Iran have been taking steps to prepare for a relative reduction in the general level of repression. Opening up Iranian society is a necessary condition for improving the economic situation, including a positive effect on growth. 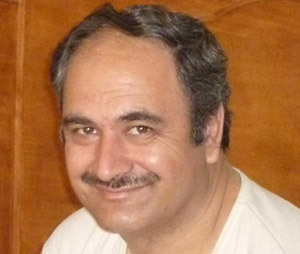 It is within this context that the untimely death of Shahrokh Zamani, particularly the manner he was killed while in prison, is something that we should all publicise – not just for chastising the regime but to build an effective solidarity movement. Shahrokh was a member of the Steering Committee of the Committee for the Pursuit of the Creation of Free Labour Organisations and one of the activists attempting to re-launch the Painters’ Union. He was arrested in Tabriz on June 4 2011, and without being made aware of the charges against him, was sentenced to 11 years in prison. Later he found out that the charges against him had included “endangering national security” and “participating in an illegal organisation”. For the Iranian regime attempting to build an independent trade union is enough to land you in jail! However, Shahrokh would not give up on activity. Shahrokh was seen as a particular ‘trouble maker’. He not only supported the struggles of labour activists while in prison, but also supported all political activists and even religious minorities in their protests for their rights. He wrote many articles that were sent out of prison. In these he defended the setting up of an independent federation of trade unions and a Leninist proletarian party. Recently Shahrokh had also been co-operating with the Workers’ Action Committee (WAC). Just as the re-elected Tories are attempting to curb trade union rights in Britain, particularly the right to strike, the working class is facing attacks in all parts of the world (e. g., the Combrexelle report in France, the ‘niche union’ bill in Germany and so on). The way to fight the common enemy on all these fronts is to strengthen our solidarity and unity. – For solidarity with all workers’ struggles internationally. These and other aims, as well as the campaign’s platform, will be open for discussion at the launch meeting. The campaign will combine various forms of action including collecting signatures, pickets of the IRI embassy, public meetings, lobbying of MPs and so on.